Please log in or create an account to apply. This award will be given to an outstanding junior investigator for their body of work. The award takes into consideration independence of thought and originality in new and relevant research in geriatrics and gerontology. The award is designed to recognize individuals who are committed to a career in aging research. At least one research grant submitted as principal investigator. Applicants must also demonstrate evidence of a career plan related to aging research. A primary letter of nomination written by a senior researcher who knows the candidate’s work. The letter should outline the candidate’s involvement in the AGS, research contributions and potential. The candidate's biosketch (NIH- style 4 pages maximum) and a mentoring table/summary. Reprints of up to three publications illustrating the candidate’s most important contributions. One supporting letter of recommendation (limited to 1 page). 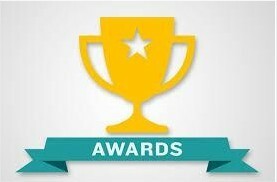 The candidate should continue to be actively engaged in the line of research for which the award is made. Nominations will be reviewed and the awardee selected by the AGS Research Committee. To recognize his/her outstanding achievements, the awardee will receive a letter documenting the award and a framed certificate will be presented during the Awards Ceremony at the AGS Annual Scientific Meeting.